Bill Nighy (The Kindness of Strangers, Pirates of the Caribbean: Dead Man’s Chest) has joined the cast of Minamata which will co-star Minami (Vision), acclaimed actor Hiroyuki Sanada (Avengers: Endgame, Westworld, Mr. Holmes, The Twilight Samurai), Tadanobu Asano (Silence, The Outsider, Thor, Midway), Ryo Kase (Letters from Iwo Jima, Restless, Silence, Like Someone in Love), and Jun Kunimura (Kill Bill: Vol 1 and 2, Midway). The famed Yôko Narahashi (Earthquake Bird, Unbroken) is the casting director on the film which is currently underway in locations in Japan, Serbia, and Montenegro. 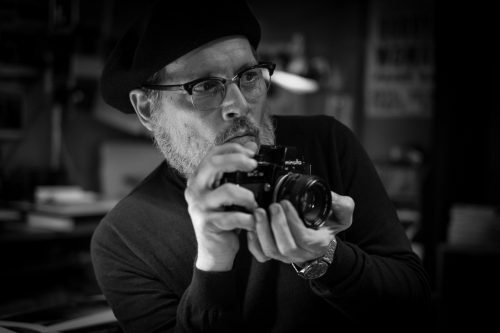 Developed by Depp’s production entity Infinitum Nihil, Depp will also produce along with Infinitum Nihil’s Sam Sarkar, Levitas under his Metalwork Pictures banner and Academy Award® nominee Gabrielle Tana (The White Crow, Philomena). Jason Forman, Stephen Deuters, Peter Watson, Phil Hunt, Compton Ross, Gabrielle Stewart, Stephen Spence, Peter Touche, Norman Merry and Peter Hampden will executive produce. Heads of department include César Award nominated cinematographer Benoit Delhomme (At Eternity’s Gate, The Theory of Everything, The Boy in the Striped Pajamas), production designer Tom Foden (Mirror Mirror, The Village, One Hour Photo) and line and executive producer Kevan Van Thompson (JoJo Rabbit). Minamata is based on the book by Aileen Mioko Smith and W. Eugene Smith and adapted by David K. Kessler (A Hard Day’s Day). The redemptive thriller, a real-life David versus Goliath story, pitts Smith against a powerful corporation responsible for poisoning the people of Minamata – Japan in 1971. Minamata is an extremely moving story of how one man’s powerful photograph impacted the world to take action. With the glory days of World War II far behind him Smith (Depp) has become a recluse, disconnected from society and his career. But an old friend and a commission from “Life Magazine” editor (Nighy) convinces him to journey back to Japan to expose a big story: the devastating annihilation of a coastal community, victims of corporate greed and complicit local police and government. Armed with only his trusted camera, Smith must gain the trust of this struggling community and find the images that will bring the story to the World. The victims’ case against the corporation responsible for this environmental disaster represents one of the biggest payouts of all time, with present day sufferers of Minamata disease still in court today seeking compensation. Production has spent time in Minamata meeting some of the victims and their families and the film is being made with their support.